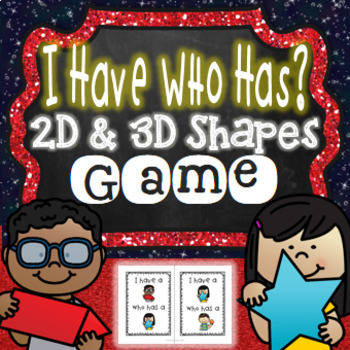 I Have Who Has Shapes 2D and 3D Game is a fun and interactive game for identifying shapes! This 2D and 3D shapes game can be played as a whole class game or incorporated into your math centers, math stations or small group work! 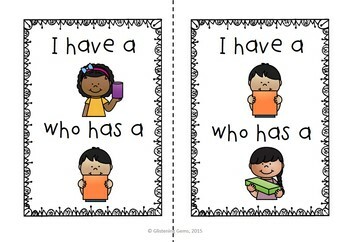 Perfect activity for kindergarten or first grade students! 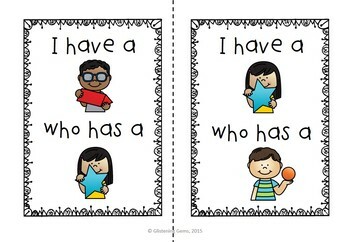 I Have Who has 2D and 3D Shapes Game includes colorful clip arts of kids holding various shapes. To play the game, 19 students will need to play. Each student takes a card. 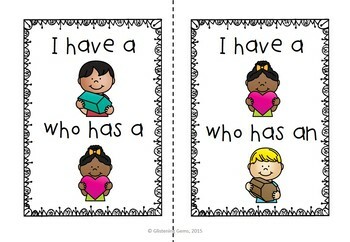 If there are not enough cards for each student in the class then you can pair students together. Simply print off and laminate the cards onto hard card stock paper for durability, and you are ready to play the game. Students will have a lot of fun playing this game and practicing their shapes! Check out this money saving bundle below! Looking for more 'I Have Who Has Games'?